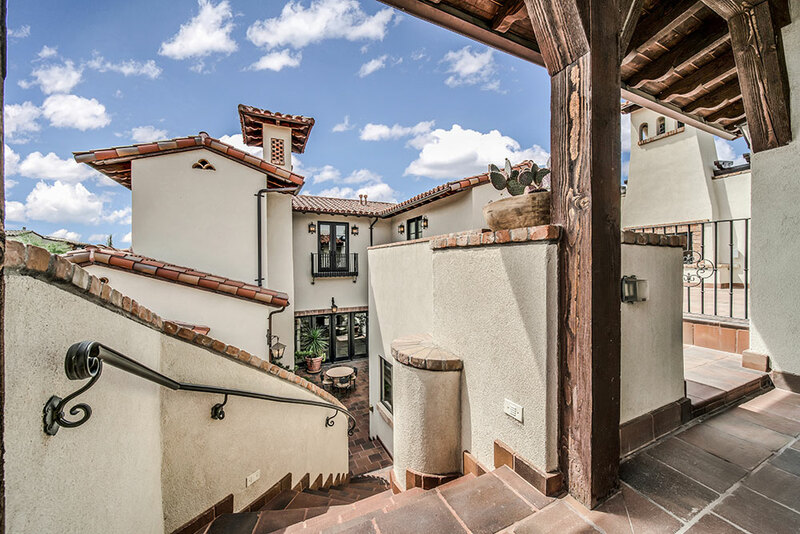 Deep in El Paso’s westside, toeing the line between Texas and New Mexico, sits one of the region’s most refined subdivisions, Villa Encanto. 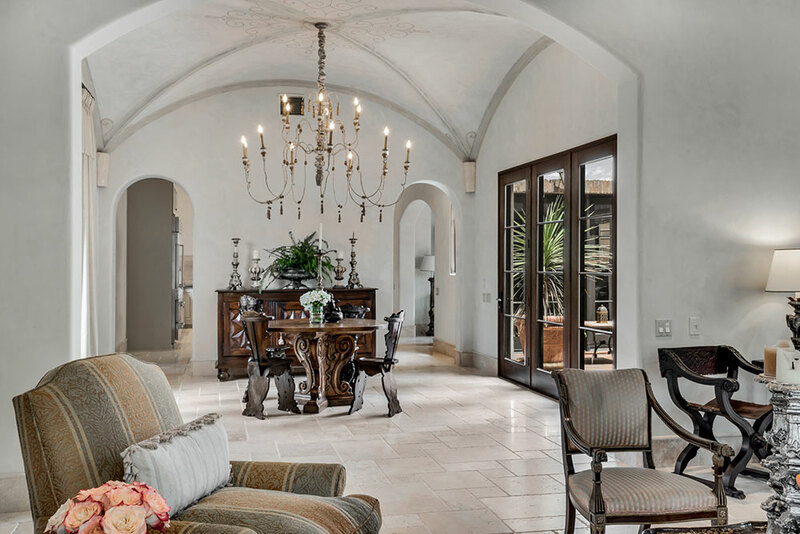 The brainchild of CGN Design’s Chad North, Villa Encanto defined by a unique combination of architectural styles. Think of it as mediterranean meets outhwest. This villa, built by Cullers & Caldwell Builders, typifies Chad’s signature look. 4,690 square feet and two stories high, the home centers around a sunlit piazza—or courtyard—in typical Italian fashion. In addition to serving as the ideal open air coffee or wine area, the hollow center fills the house with light and provides stunning views of the Franklin Mountain Range. Venture inside and you’ll find yourself surrounded by elegant, eyebrow-shaped doorways and halls. Sunshine floods through window speckled walls, bathing the rooms in a beautiful soft light. The interior showcases an eclectic, but coherent, selection of materials. 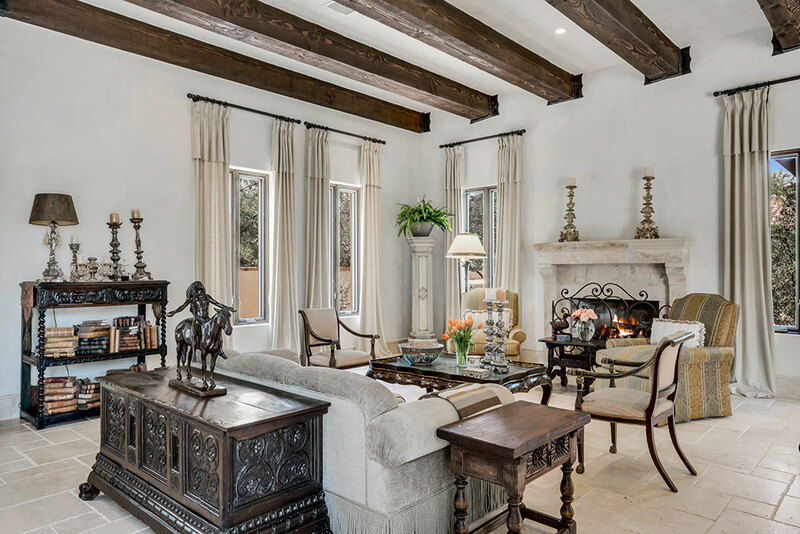 Chiseled travertine stone gives way to Venetian plastered walls—all tastefully accentuated by expansive iron work. As visually pleasing as the home is, it’s also practical. In fact, no aspect of the structure sacrifices functionality for the sake of aesthetics, or vice-versa. For example, the groin-vaulted ceilings are not only stunning, but create perfect acoustics. The hand-hewn wood floors help insulate the house in winter and keep it cool in the summer, mitigating the costly energy bills that are common of houses this size. On that note, this home is big, but not excessively so. Altogether it has four bedrooms and three and a half bathrooms. The ground floor master suite features a relaxing quasi-terrace and a two-sink bathroom. 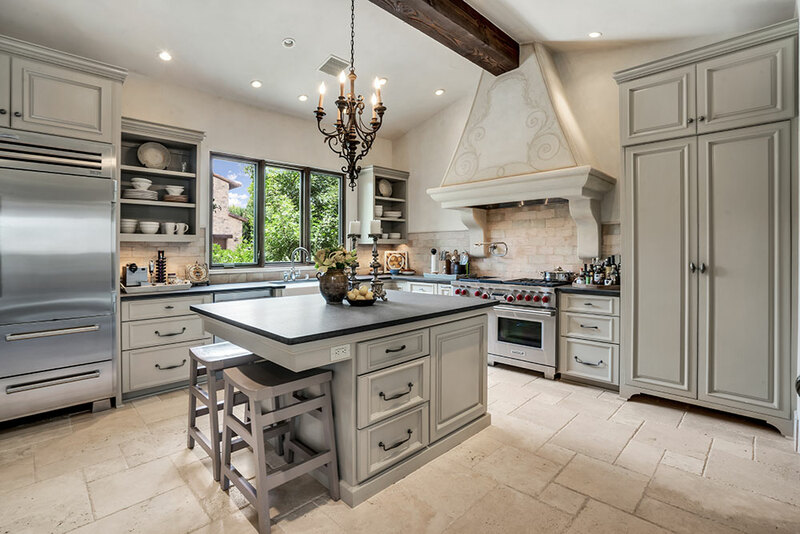 The kitchen, held together by a black marble topped island, is spacious and fully stocked with every accoutrement any chef could ask for. 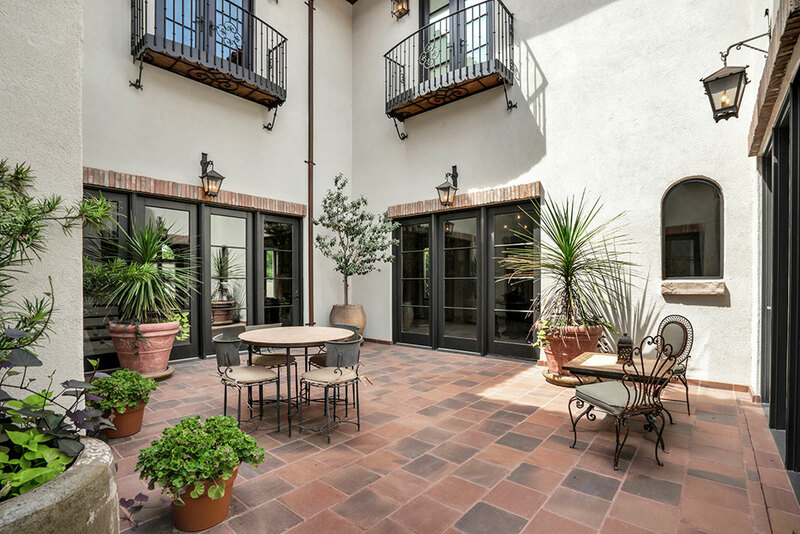 The guest house—or mother-in-law’s suite—is across the courtyard with its own roof-top patio area. The entire home is made for indoor-outdoor living, with several outdoor fireplaces and areas to gather. Just a short walk from the home you’ll find Villa Encanto’s central park. The lush space is community’s meeting point, providing youngsters with an ideal space to shake out their restless legs and the older crowd a place to mingle out in the fresh Chihuahuan air. Surrounded by tall trees, the lawn is spacious enough to accommodate pick-up soccer games and evening baseball catches, however, in no way does it give off a sports recreation vibe. It’s easy on the eyes like everything else in the proximity.